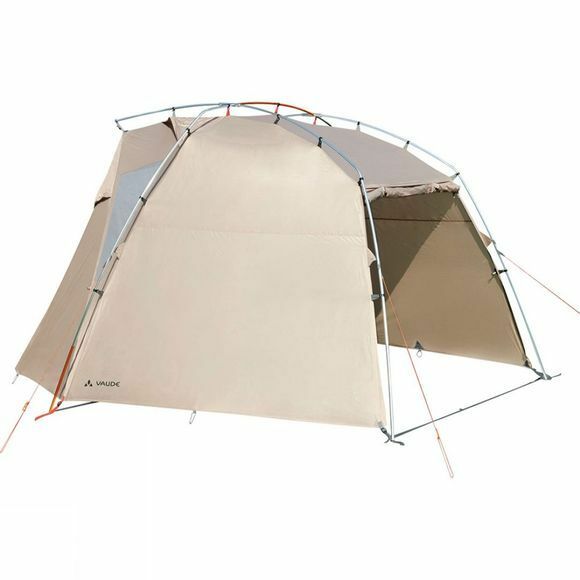 The Drive Van Tent Awning from Vaude is specially designed for rear and side docking onto vans and transporters. It is easy to set up free-standing and features high wind stability when the additional guylines are used. A variety of clever ventilation options ensure a pleasant microclimate, even when cooking. Thanks to the adjustable connectors, it can be used with many different vehicles with a height of up to 2.15 metres.